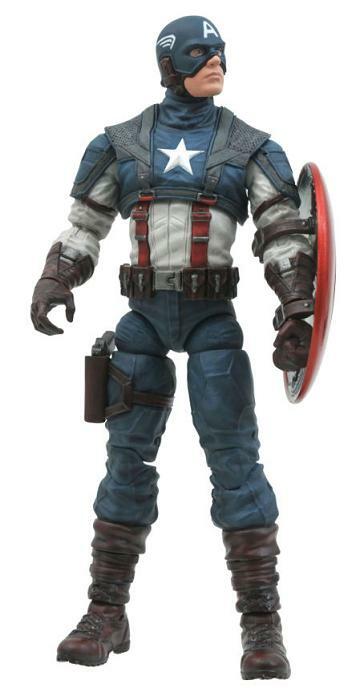 Some new photos of upcoming Captain America: The First Avenger Marvel Select figures have been posted by Art Asylum. 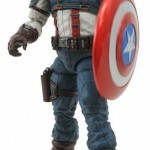 you can check out some out of package photos of both Captain America and the Red Skull. See the photos of both figures by clicking the headline of the story. 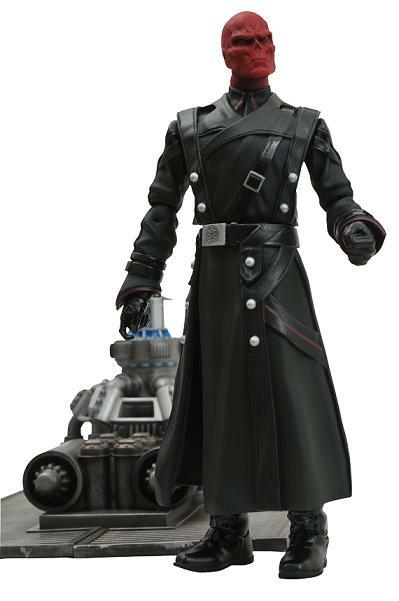 I love that that they are doing halo minimates, but I gotta say I'm reacting the same way to them that I am the mega block ones (though I love how the mega block ones can grab the TF clip system to ride along xD). My only real gripe is simple. Why no Red vs Blue packs? Tex(Gunmetal/Black), Church(light blue), Caboose(blue), and Tucker(teal) for the blue, and then Sarge(red), Simmons(maroon), Griff(orange), and Donut(pink) for the red, with bonus two packs of washington(white) and the meta(white), wyoming(silver) and Covenant Elite(blue), and last but not least, Doc(purple) and Lopez(brown). I love halo, but I gotta say as minifigures go, these are all the ones I want, and yet it's a pain to find them in either style. They probably don't want to pay royalties to RoosterTeeth. That's just it. 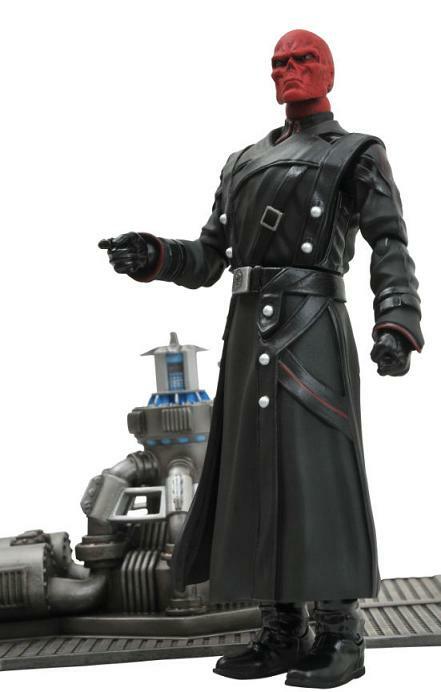 The rooster teeth characters are the base models from the games. So just don't name them as RvB or the character names if that's the issue. But release the colors/packs in an easy to attain fashion. After looking at the pics above. It seems indirectly that's what they did. They have the alien with a cloaked spartan similiar to the RvB episode with Tex trying to get the alien out of the base or Tucker's Quest. And a blue spartan with a cloaked alien, similiar to Caboose or church and the said alien that was in base, or tucker's kid. 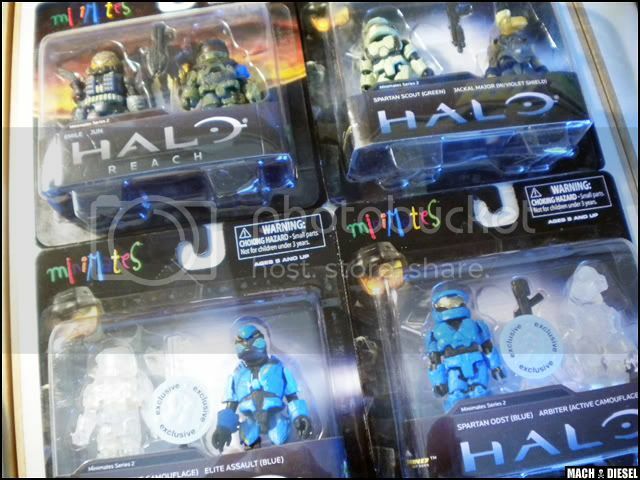 And one of the packs looks like masterchief with the meta.